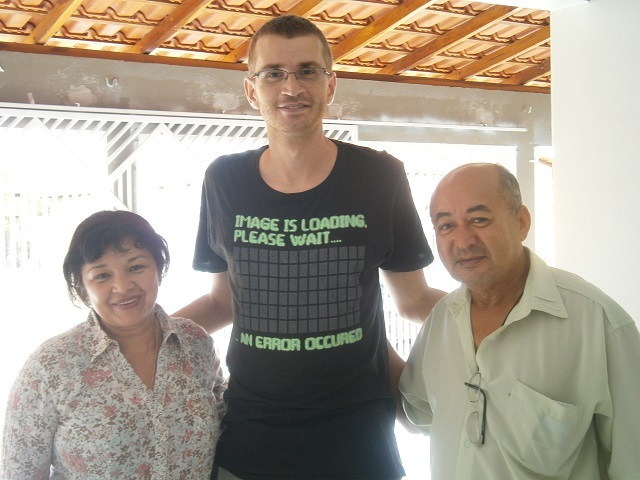 Martin, our volunteer for nearly fours years, hands over responsibility for the coordination of the micro loan projects. Martin has worked hard over the last few years to establish good relationships with communities and families across the region of Cristino Castro. For the last two years he has been instrumental in the setting up of our micro loan project. Six families now benefit from his hard work and the financial support provided by schools and individuals from the UK and Slovakia. During our project visit to Brazil in November of this year Rosalba and I were delighted to see how each of the projects was developing, some against very difficult circumstances. It was lovely to see and experience the deep and respectful relationships that Martin has established with each of the beneficiaries. But the time has come for Martin to return to his native shores. On the behalf of all those connected to VinB I thanked Martin for his loyal service and dedication. The batten has now been handed over to Jose Oliveira, a local agronomist and long term friend of VinB. I am sure that you would like to join with me in wishing Martin all the very best in his future endeavours.